#LetsGoBear initiative showcased its Autumn/Winter 2019 range. We recently attended the stylish fashion celebration at the Hyde Park Corner in Johannesburg, Africa’s Centre of Luxury. Since 1992, the Nicci Boutique brand has become a go-to staple for fashion savvy women with a taste of contemporary fashion items. 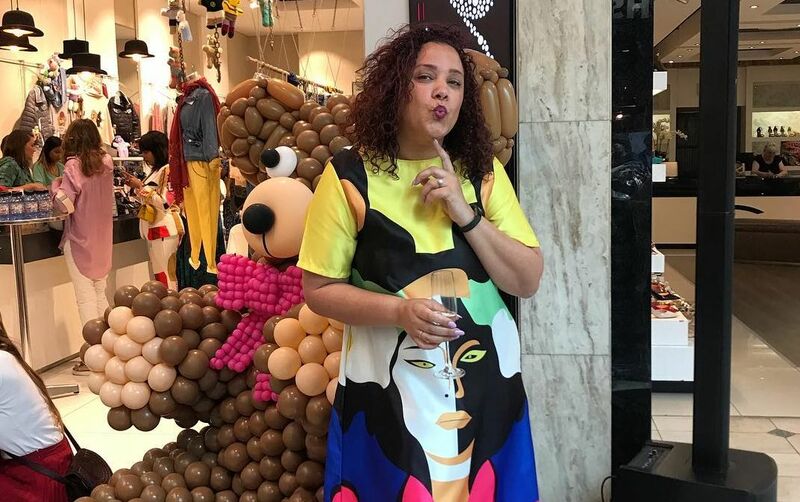 From clothes, shoes and accessories, the store has it all, peppered with press, fashion journalists, local personalities, VIP shoppers and guests, the event turned out to be a success. Think stylish knits, embroidered sweaters, camouflage designs, heart motifs, metallic detailing and a pantone palette of pastels; with the iconic embellished bear taking centre stage across a selection of knitwear at Nicci Boutiques nationwide. With fashion that pays it forward, a portion of the proceeds from every purchase of an embellished bear sweater went to The Teddy Bear Clinic, who work with children and families that have experienced abuse. An industry glam squad offered guests the lowdown on the looks for the season, the Eyebrow Bar ensured that the guest’s brows were on fleek, while Gosh Cosmetics did makeup touch-ups. There was also a Sorbet pamper station that spoiled guests with complimentary manicures. They say that beauty is skin deep and the elegant Jo Malone massage bar pampered us, while Jimmy Choo showcased their latest Floral fragrance. What do you think of this launch?